Think Positive, No More Stinking Thinking! 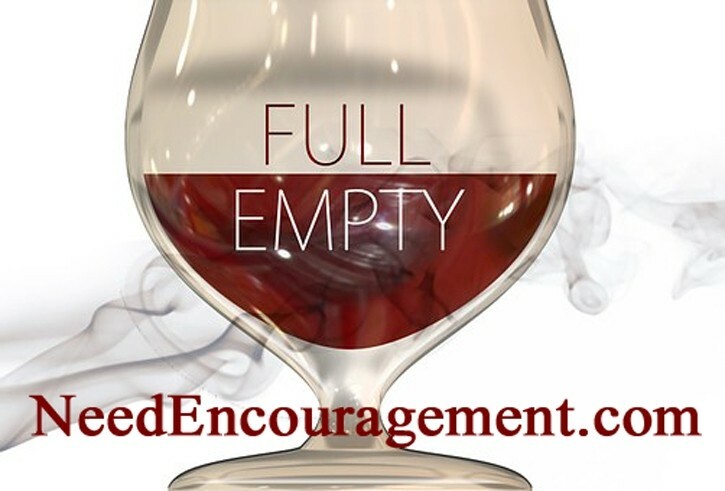 When you think positive, your eyes will be able to see things as half full instead of half empty! Here are some encouraging scriptures to think positive. Think Positive About God And His Word! What Does The Term Think Positive Mean To You? Think positive and keep in mind that the God who created you, also is watching over you each day. Nothing is impossible with God! Guard your hearts and minds and think positive while you trust in God! Always try to turn a negative situation into a favorable situation. Trust in God with all your heart and lean not on to your own understanding, but in all your ways acknowledge God, and He will make your paths straight! Bottom line, think positive! It is always best to think positive because the devil shoots his fiery arrows at us to discourage us each day, in any way he can come in subtle ways, sometimes right in our face! Unfortunately, we all allow Satan to do it in our lives at times. Satan is very clever and if we drop our guard down. So put on your armor of God on each morning and keep it on during the entire day. Think positive promises from God while you stick close to Him every day! Think Positive, Don’t Think Sinful Thoughts! 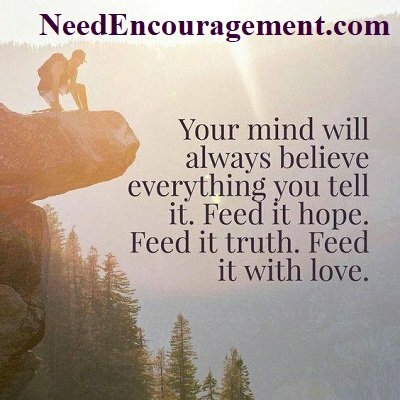 Feed your mind good things, and it will respond similarly! Think Positive And You Are On The Right Path! It’s a healthy mindset that takes dominates over all other facts. We must cut out the thinking that interprets life in negative or in critical ways. The attitude you have can make a living as easy or as hard as you would like. To think positive can be learned, and it will be one of the most important things you will do in your life. If your view for some reason is not up to par, you can learn how to change it before it gets you into too much trouble. Are all prosperity preachers charlatans and false teachers? 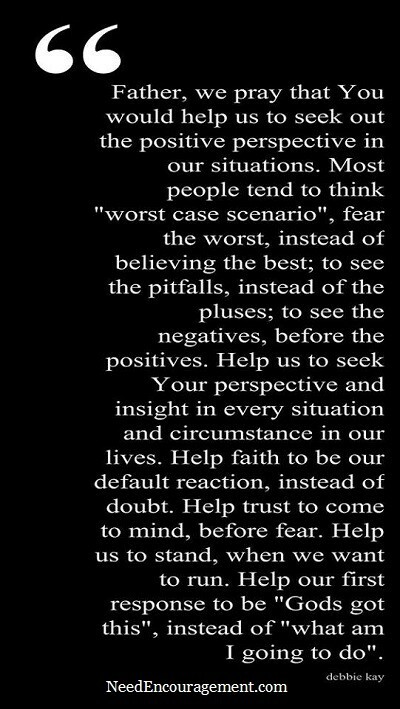 Think Positive In Every Situation! Don’t Let The Devil Get Into Your Head, Think Positive! A house is not a home without God in it. Stay right, follow God’s path. “My other home is outta this world” John 14:2. God saves them all. Large and small, short and tall. It’s one sick world, and Jesus is the cure. Doubt sees the obstacles, but faith sees the way. PUSH! Pray Until Something Happens. Give the devil an inch, and he’ll be your ruler. When life knocks you on your knees, you’re in the perfect place to pray. Salvation can’t be bought or sold. God is not the author of confusion, but that of peace. Christ is the rock that makes me roll. God’s love is big enough for all of us. 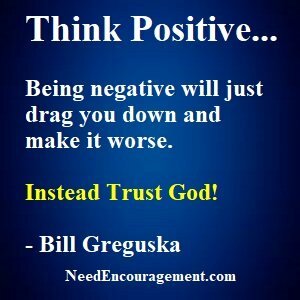 Think Positive And Have Trust In God!